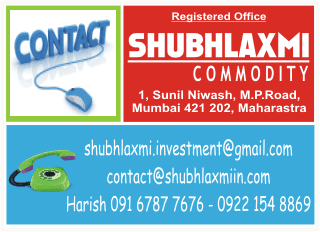 MCX zinc is trading downwards in a medium-term falling channel. In terms of wave structure it is forming a complex correction. The structure shows that the base metal is forming a triangular pattern. To form the last leg of the pattern it can move towards the upper end of the pattern (103); however it is unlikely to cross the swing high of 103.75 on a closing basis. Thus, selling on rise would be the strategy for zinc. The targets on the downside are 100.20 (the previous low) and 98.5 (the lower channel line).